M.L.S. 1973 – Terry Martin, recently retired after a career of 43 years as an academic librarian. 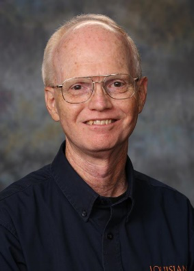 From 1993-2016 he served as Director of Library/Professor, Louisiana College, Pineville, LA. From 1973-1993 he served as Director of Library, Georgetown College, Technical Services/Circulation Librarian, Southeastern Baptist Theological Seminary, and Technical Services Librarian, Samford University. He holds a Masters of Arts (Biblical/Historical Studies) from Samford University. He and his wife Carol have one son and one granddaughter.